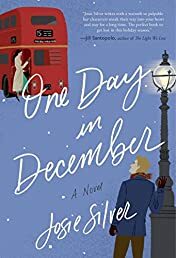 One Day in December: A Novel | Your #1 Source for Kindle eBooks from the Amazon Kindle Store! Laurie is pretty sure love at first sight doesn't exist anywhere but the movies. But then, through a misted-up bus window one snowy December day, she sees a man who she knows instantly is the one. Their eyes meet, there's a moment of pure magic…and then her bus drives away. Certain they're fated to find each other again, Laurie spends a year scanning every bus stop and cafe in London for him. But she doesn't find him, not when it matters anyway. Instead they “reunite” at a Christmas party, when her best friend Sarah giddily introduces her new boyfriend to Laurie. It's Jack, the man from the bus. It would be.